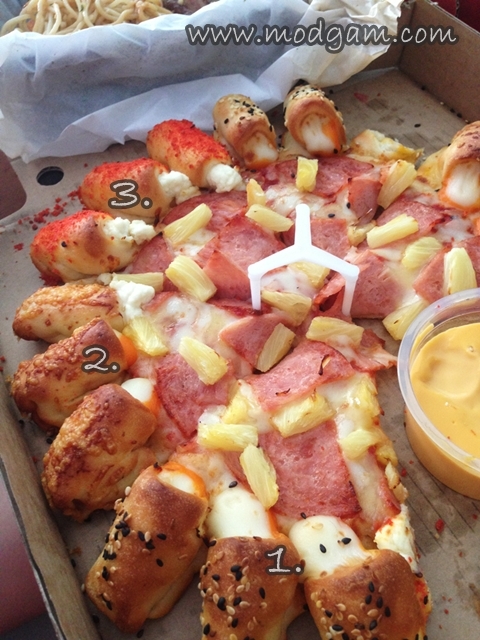 Pizza Hut’s New Cheesy Bites Trio Pizza! 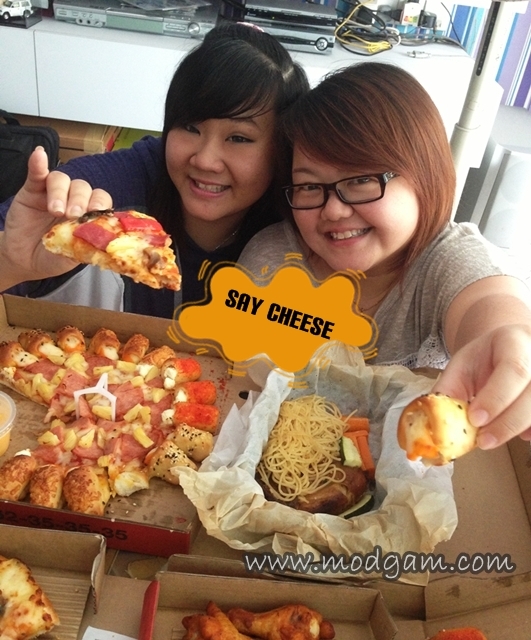 My bestie and I are HUGE cheese fans and imagine our excitement when we hear about Pizza Hut’s New Cheesy Bites Trio Pizza! I have been really busy packing for we are moving to a new place in 2 weeks time! Some nice friends of mine came over yesterday to help pack and they were thrilled when I told them Pizza Hut is sponsoring our lunch! THANK YOU PIZZA HUT! Please ignore the messy background and my not very glam state for I was packing before the delivery came. I was really excited upon hearing the door bell and ran to receive my lunch surprise! Shortly after, the rest of my helpers friends arrived! 1. Sesame – very tasty black & white sesame mix and its my favorite among the 3. 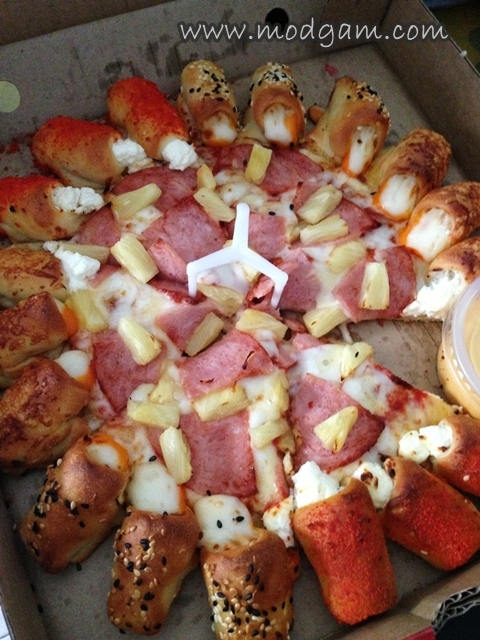 2 of my biggest love mixed together; cheese and sesame is a dream come true! 2. Parmesan – Love the melted parmesan! 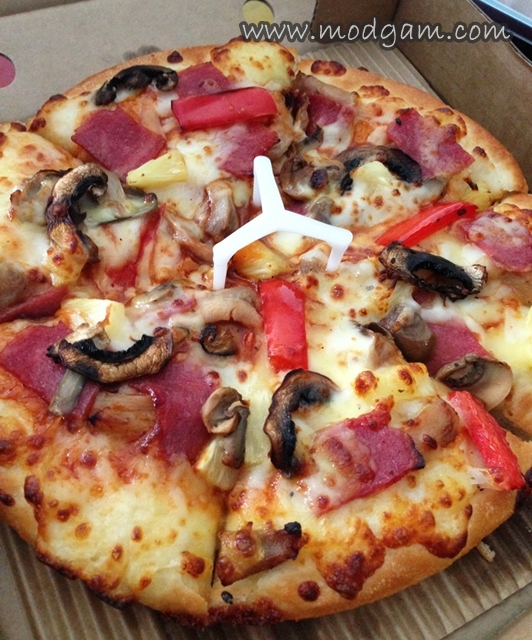 This taste equally delicious! 3. Chipotle – the cheese lover will be thrilled! Yums! Turkey Bacon and shroom pan pizza – filled with plenty of turkey bacon and mushrooms chunks along with red capsicums dressed in tangy salsa sauce. A yummy combination! 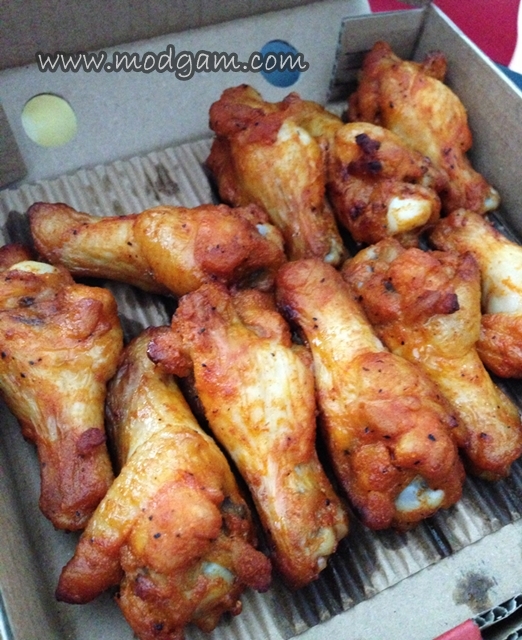 Sweet and spicy drumlets – everyone loves Pizza Hut’s sweet and spicy drumlets and its a must have to order each time we call for Pizza Hut! Marinated in spicy, sweet New Orleans Spices. 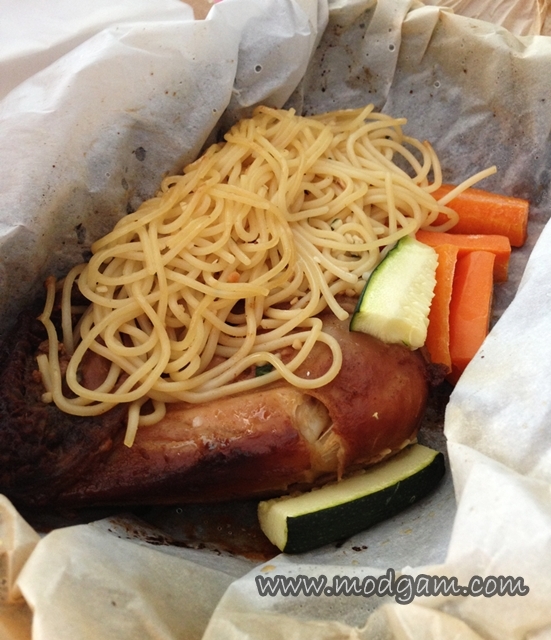 Chicken leg parchment pasta – Aromatic roasted chicken leg served with garlic aglio olio pasta and veggies, sealed and cooked in parchment paper for a full flavour. 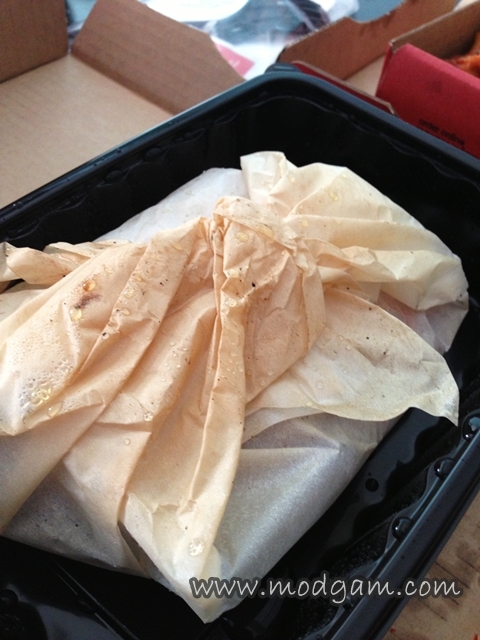 I like how this came in parchment paper for it really kept the pasta hot and all the flavor in. 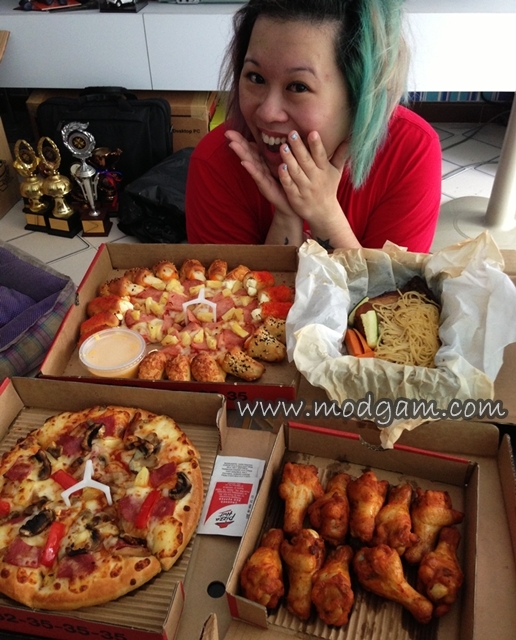 BIG BIG THANKS TO PIZZA HUT for making our Saturday yummylicious! My other 2 friends are camera-shy so here are the other 2 who are happy to smile for my camera! GOOD NEWS again! 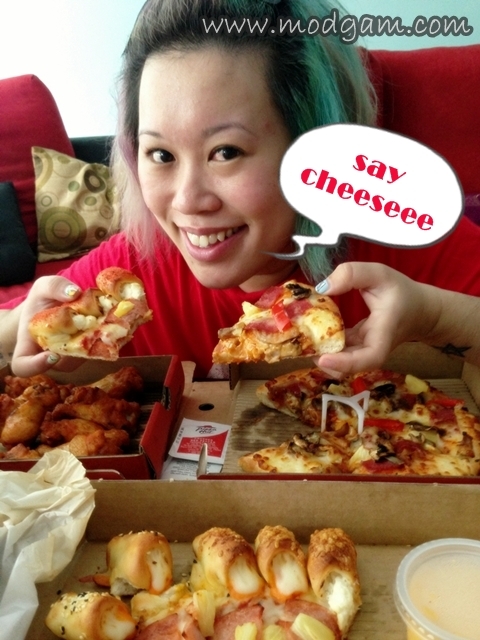 I am very thankful and happy to tell you that PIZZA HUT is sponsoring 10 x Cheesy Bites Trio Pizza to 10 lucky readers of mine for Modgam upcoming 1yr blogoversary birthday! Excited yet? Smile and say CHEESEEE! Modgam 1 Year Blog-o-versary International Giveaway!!!! 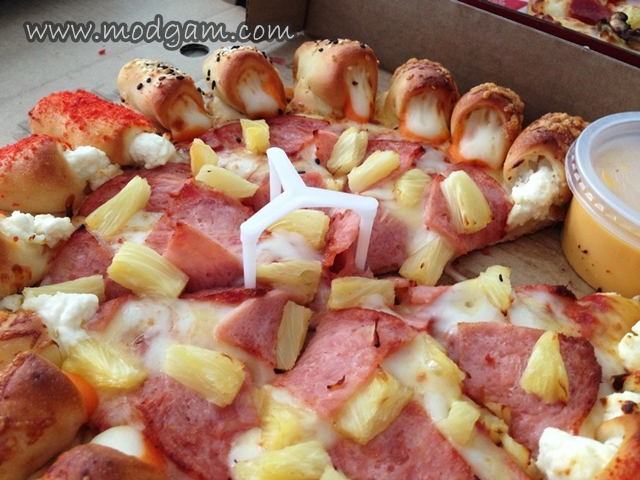 | Modgam's Playground; Fashion, Food, FunFinds.